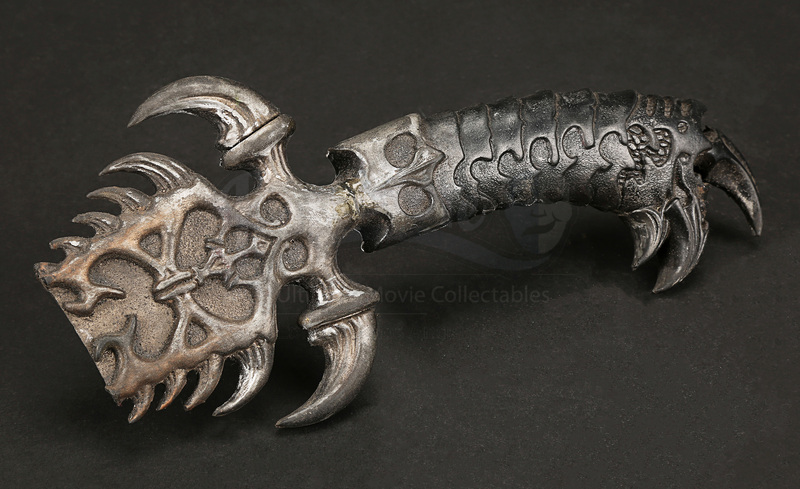 A SFX knife hilt used in the production of David Twohy’s 2004 action sequel The Chronicles of Riddick. 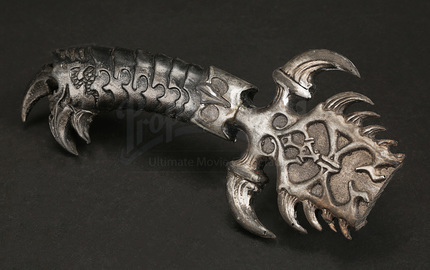 Riddick (Vin Diesel), hidden for five years after the events of the movie Pitch Black, is forced to come out of hiding to fight the villainous Necromongers, and fulfil a dark prophecy in the process. 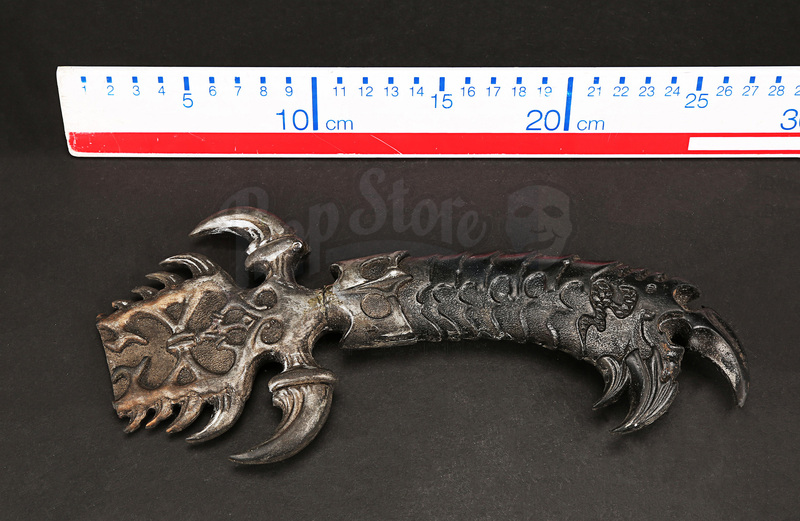 This knife and others like it were used by Riddick in the scene where he gains access to the inner sanctum of the Necromonger ship, stabbing two guards in the eye through a gate before attacking the Lord Marshal (Colm Feore). 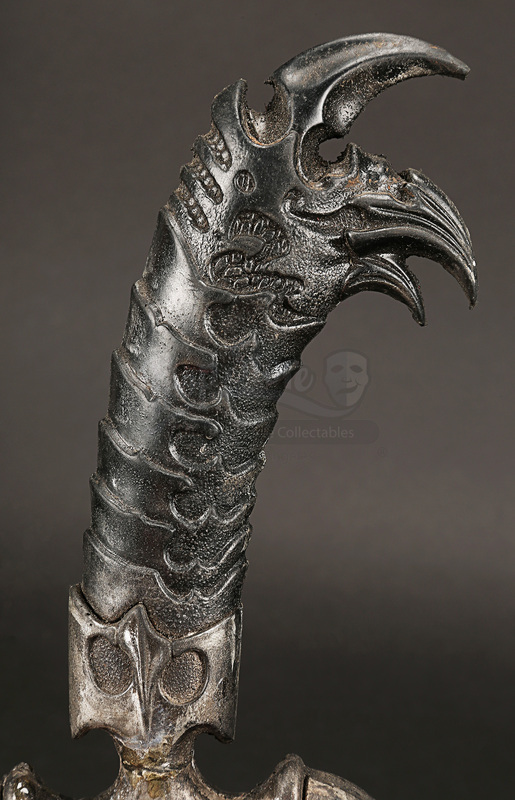 Made of hard rubber, the menacing knife hilt is covered in brutal talon-like Necromonger designs. 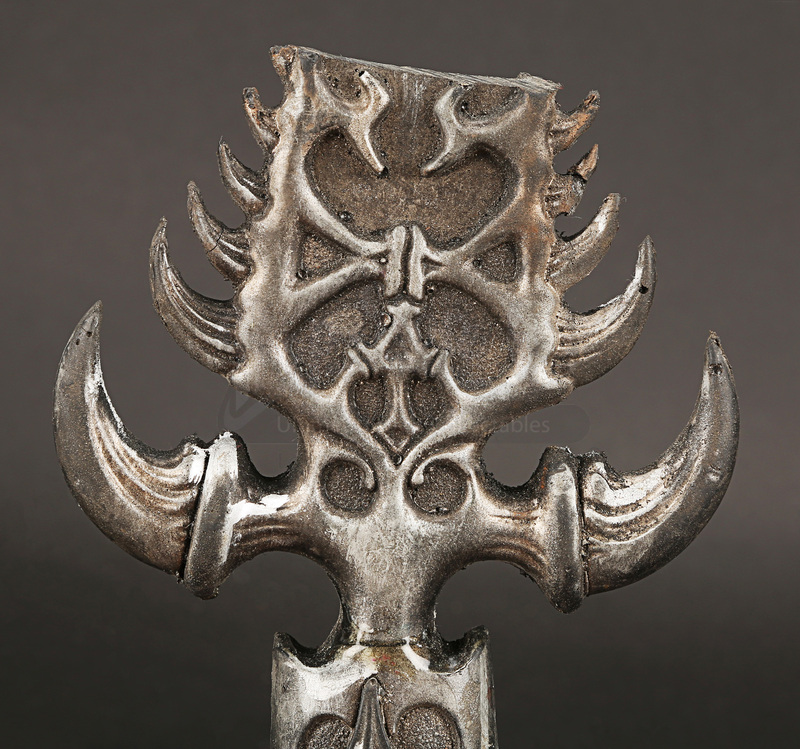 It has had most of its blade removed by the production to create the illusion of the blade going into the Necromongers. 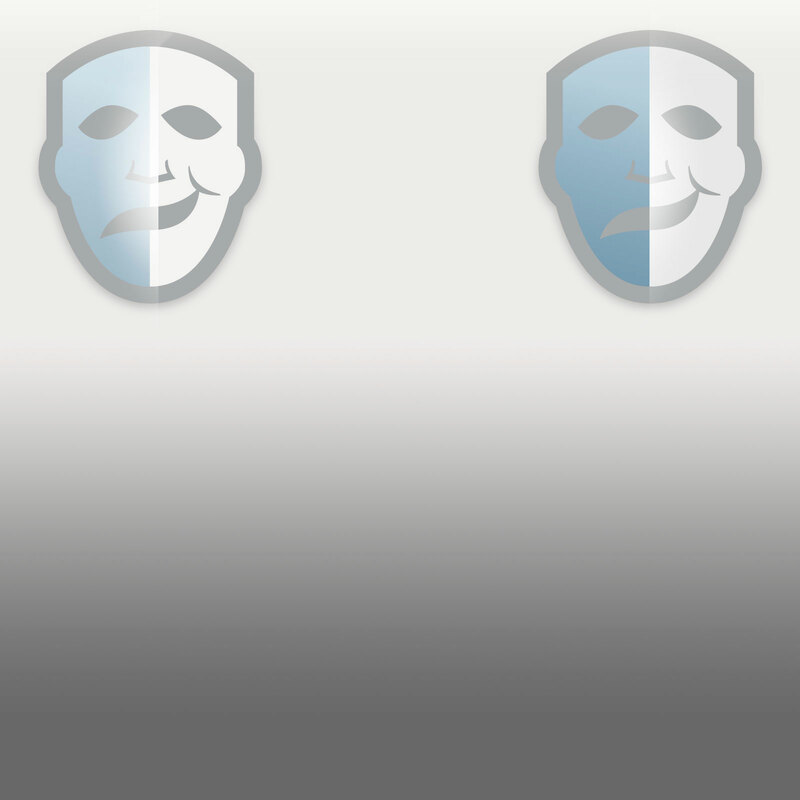 It shows some wear from production use but remains in an otherwise excellent condition.